Though no longer a well-kept secret, the relatively new Clackamas River Trail from Fish Creek to Indian Henry Campground provides a scenic, all-season alternative to the often crowded low-elevation trails in the Columbia Gorge. 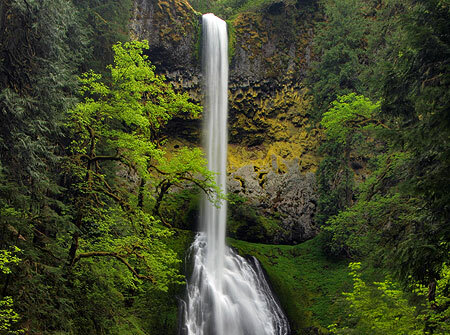 An added bonus is the impressive falls on Pup Creek — the main attraction for many who make this trip. But the trail also provides a unique, close-up look at a rapidly recovering forest ecosystem that burned less than a decade ago, and plenty of river scenery along the way. In September 2002, the Bowl Fire swept through 339 acres of tall timber along the first mile or so of the Clackamas River Trail, just east of Fish Creek. Today, nine seasons of forest recovery have brought a rejuvenated understory with sun-loving wildflowers crowding the trail. While many trees were killed, a surprising number of the old giants survived, providing a living laboratory on the role of fire in our forest ecosystems. Along this section of trail, the fire has been especially beneficial to the rare Iris tenuis S. Watson, or Clackamas iris. This elegant wildflower occurs in both blue and white in its very narrow range. 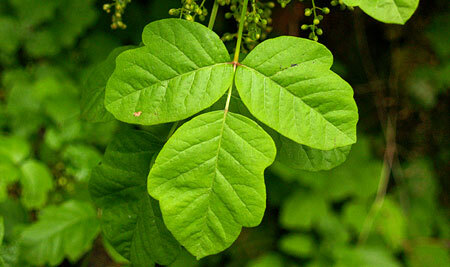 It is found along the Clackamas and Molalla Rivers, and nowhere else. 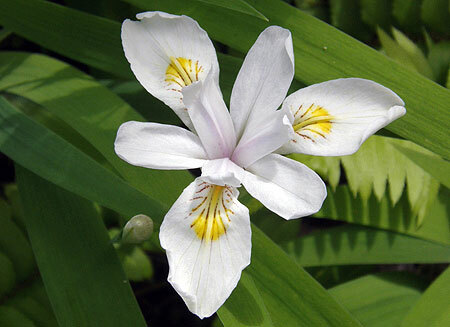 These iris form beautiful drifts of white blossoms along the burned section of trail in late May and early June. 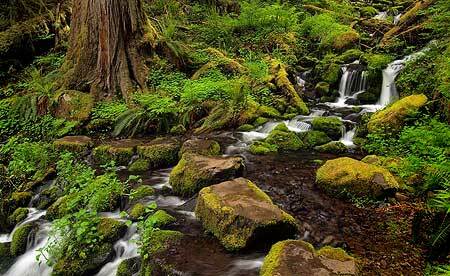 Beyond the fire zone, the trail dips into an impressive stand of ancient forest, tucked into a shady grotto between 200-foot cliffs and the Clackamas River, at the confluence with the Roaring River. These centuries-old western red cedar and Douglas fir thrive in the boggy river bottom, well protected from the elements. In spring, the air in this pocket of ancient forest is filled with the pungent (and unmistakable) aroma of skunk cabbage growing in the bog, while the sound of falling water reveals a string of delicate waterfalls cascading over the cliffs, and into the green grotto. 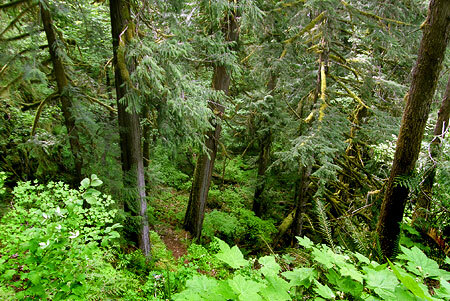 After passing through this magical spot, the Clackamas River Trail climbs a steep, rocky bluff above this hidden forest, providing a unique opportunity to observe the big trees from different levels, as if riding an elevator. Guidebook descriptions vary, but by my estimate, the hike from Fish Creek to beautiful Pup Creek Falls is about 8 miles round-trip, with the rollercoaster trail gaining about 900 feet in elevation along the way as it climbs around several cliffs. Because the high point at Pup Creek is only 1,300 feet in elevation, the trail is usually open year-round. 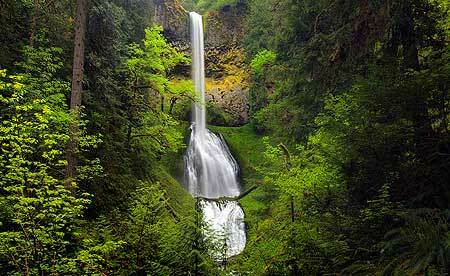 The trail starts at the Fish Creek trailhead, located about 15 miles southeast of Estacada on Highway 224. The turnoff to Fish Creek is well marked, and is just past the Carter Bridge, Lockaby and Armstrong campgrounds. Turn right onto Fish Creek road, pass the Fish Creek campground, cross the Clackamas on yet another bridge, then watch for the trailhead parking on the right, at the confluence of Fish Creek and the Clackamas. The trail begins at the far (south) end of the parking area, on the opposite side of the road, and is marked with a signpost. The path starts out wide and gentle, following a rustic dirt road to a small stream ford and dropping to the banks of the Clackamas. From here, the trail briefly rambles at river grade before entering the fire zone. Soon, the first uphill section begins as the trail climbs through the burn and over the first set of cliffs. 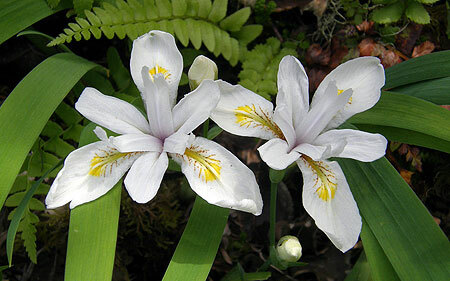 On the bluff above the cliffs, white Clackamas iris line the trail in spring, along with many other wildflowers. After the first crest, the trail descends to the river again, reaching a short pair of switchbacks just over a mile from the trailhead. Caution: watch for poison oak on both sides of the trail after the second switchback for a hundred yards or so — this is the only notable poison oak patch along the trail, but worth watching for (see map, above). The trail follows the river bank only briefly, as the roller coaster trip through the burn section continues for another half-mile or so. Soon, the trail leaves the burn, and crosses the first in a series of small streams as it descends toward the ancient forest section, at about the 2-mile mark. There is a large riverside campsite among the giant cedars, here, and this makes a good spot to turn around if you are looking for a shorter hike. Continuing through the ancient forest, the trail passes the skunk cabbage bog before crossing the largest of several streams dropping into the ancient forest grotto — and take a look upstream, too: a nearly hidden waterfall leaps off the cliffs beyond the big trees. 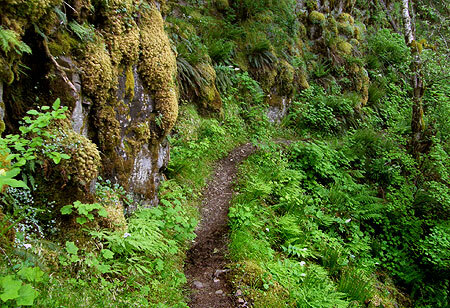 Next, the trail climbs a rocky bluff in a couple of switchbacks, providing that “elevator” view of the ancient forest, then a glimpse of the Roaring River confluence with the Clackamas, across the canyon. From here, the trail levels off, following the top of a bank of mossy cliffs for the next half-mile or so. Soon, the trail crosses yet another lively creek, this one called “Steppingstone Creek” on the map for the helpful (and picturesque) series of stones that carry hikers across. 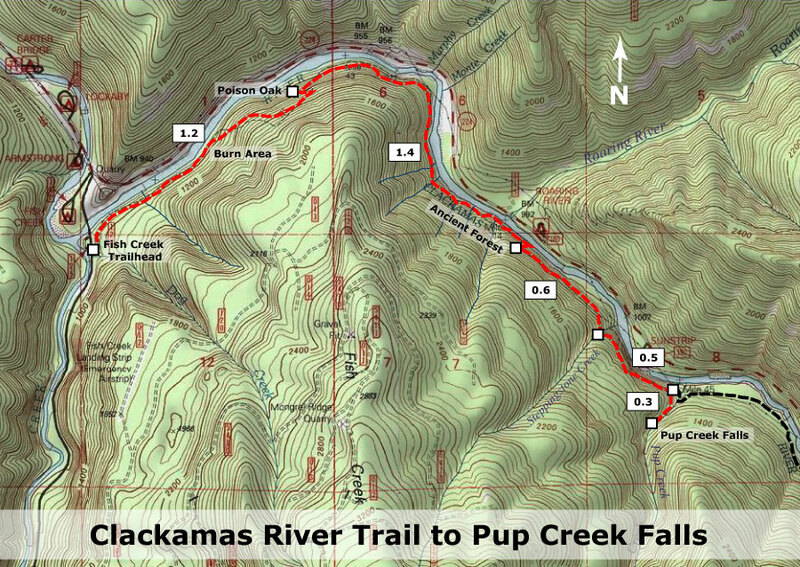 From here, the final half-mile to the junction with the Pup Creek climbs very gently, with many river views. The junction with the short spur to Pup Creek Falls is marked with a post, though no sign attached as of this spring. But you’ll know when you’re there: the junction is in a clearing under a transmission pylon. If you miss it, you’ll arrive at Pup Creek after 200 feet or so — by far the largest side stream on the hike, so you’ll know if you need to backtrack. The spur trail to the falls makes one quick switchback, but otherwise follows Pup Creek upstream to the dramatic amphitheater holding the 237-foot falls. In winter and early spring, the falls are particularly impressive, jetting a lot of spray to the small viewpoint at the end of the spur trail, so early season photographers should be prepared to battle the mist! Because the falls are framed by a group of magnificent bigleaf maples, this is an ideal destination for late October or early November, when fall colors are peaking, and yellow maple leaves complement the bright yellow lichens on the walls of the amphitheater. Highway Noise: on summer weekends, traffic on Highway 224 is more noticeable, so it’s a good idea to save this hike for mid-week, or the off-season for summer camping — or even winter, when you’ll have the place to yourself. That said, the highway proximity is rarely a distraction from the beautiful scenery on this trip. Poison Oak: note the map, above — one enthusiastic patch of poison oak flanks both sides of the trail at the 1.2 mile mark, where the route descends through a short pair of switchbacks. The itchy stuff begins at the second switchback and continues for a couple hundred yards, but is easy to avoid if you know to watch for it. Ticks: though rare, ticks have also been reported in the lower Clackamas canyon, so be sure to do a tick check after your trip — a good idea after any hike. 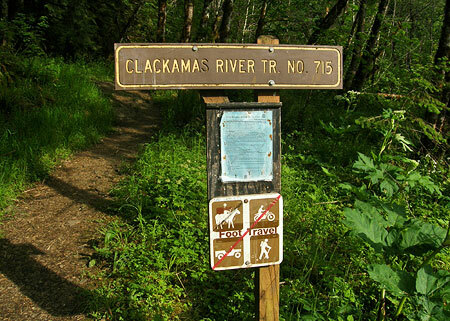 Camping: one of the handy aspects of this trail is the amazing selection of campgrounds in the vicinity — more than a dozen line the lower Clackamas. Two offer walking access to the trail: Fish Creek, near the trailhead described in this article, and Indian Henry, located about four miles beyond Pup Creek. Forest Pass: the Fish Creek trailhead requires a Northwest Forest Pass, though this trailhead also has the option of a $5/day onsite payment for a day pass.